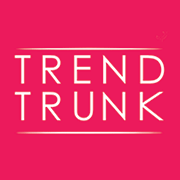 Trend Trunk is a social marketplace where you can buy, sell, and donate amazing new and pre-loved fashion in a fun and simple way. They’ve created Closets & Causes – a simple way to raise funds while you cash in your closet or shop closets full of styles you love at up to 80% savings! How does it work? Check this out! Check out our Closets & Causes page to either sell your fashionable clothing & accessories or shop other peoples closets and help us reach our goal. Share the page with your friends! Let’s work together to reach our of goal of $500 by cashing in our closets! Remember: 100% of donations are directed to our projects and all donations of $200 or more are matched! Want some more fundraising ideas? Find out how you can transform lives!